The United States announced it was halting funding for the United Nations' agency for Palestinian refugees Friday after declaring the organization was "irredeemably flawed. Washington has long been the UN Relief and Works Agency's (UNRWA) largest donor but is "no longer willing to shoulder the very disproportionate share of the burden," State Department spokeswoman Heather Nauert said in a statement. "The United States will no longer commit further funding to this irredeemably flawed operation," Nauert added. There have been widespread warnings about the impact of a halt to funding from the US, which contributed $350 million to UNRWA's budget last year. "We reject and condemn this American decision in its entirety," chief Palestinian negotiator Saeb Erekat said in a statement, calling on all countries "to reject this decision and to provide all possible support" to UNRWA. UNRWA also slammed the US decision, dismissing Nauert's characterization of the agency. 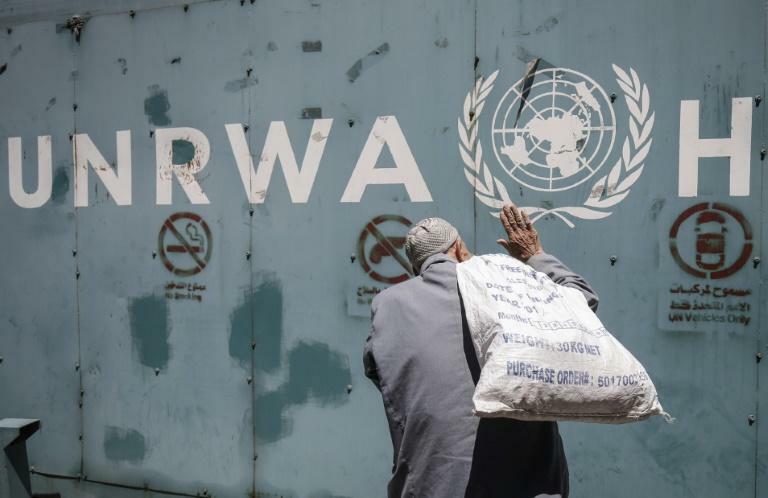 UNRWA "expresses deep regret and disappointment at the US' announcement that it will no longer provide funding to the Agency after decades of staunch political and financial support," spokesman Chris Gunness wrote on Twitter. "We reject in the strongest possible terms the criticism that UNRWA's schools, health centers, and emergency assistance programs are 'irredeemably flawed,'" he said. UN Secretary General Antonio Guterres said that UNRWA has his "full confidence," calling on "other countries to help fill the remaining financial gap, so that UNRWA can continue to provide this vital assistance." And while there was some relief for the agency on Thursday when Germany said it would provide additional funding, UNRWA's director Pierre Krahenbuhl said earlier this week that the agency needs $200 million to continue its work until the end of this year. The United States also announced last week that it was canceling more than $200 million in bilateral aid to Palestinians in Gaza and the West Bank. Nauert said the US would "intensify dialogue with the United Nations, host governments, and international stakeholders about new models and new approaches" to help alleviate any impact on Palestinian children. "We are very mindful of and deeply concerned regarding the impact upon innocent Palestinians, especially school children, of the failure of UNRWA and key members of the regional and international donor community to reform and reset the UNRWA way of doing business," she added. The Palestinian ambassador to Washington, Hossam Zomlot, had earlier said that the US would be guilty of "reneging on its international commitment and responsibility" if reports that funding was to end were confirmed. "By endorsing the most extreme Israeli narrative on all issues including the rights of more than five million Palestinian refugees, the US administration has lost its status as peacemaker and is damaging not only an already volatile situation but the prospects for future peace," Zomlot said in a statement to AFP. Israel and the United States have both accused UNRWA of perpetuating the Israel-Palestinian crisis by maintaining the idea of the right of return -- that Palestinians will be able to return to the homes from which they fled. The Palestinian Authority has refused all contact with Washington since US President Donald Trump announced late last year that he was unilaterally recognizing Jerusalem -- which is claimed by both Israel and the Palestinians -- as the Israeli capital, making the US one of very few countries to do so. The Palestinians were further enraged by the opening of the US embassy in Jerusalem on May 14, which was attended by Trump's son-in-law Jared Kushner, who has been tasked with trying to revive the essentially moribund Middle East peace process. Kushner has publicly questioned Palestinian president Mahmud Abbas' willingness to make concessions to secure peace. Palestinian officials have countered that the Trump administration has come up with "nothing of substance" in trying to end the decades-old conflict despite the US president's stated confidence of securing what he calls "the ultimate deal." ISLAMABAD (Reuters) - Pakistani Prime Minister Imran Khan made a sweeping cabinet re-shuffle on Thursday and named Abdul Hafeez Sheikh as the new finance minister to replace Asad Umar, who stepped down earlier in the day.